Cornell University's president on why teaching creativity in schools is not a luxury. As president of a large research university that received 33,000 applications for 3,050 places in the fall freshman class, I'm often asked by parents of students in high school, middle school -- and even those in preschool -- what their children should study in the K-12 years to increase their chances of admission to college. I dutifully affirm the conventional wisdom: Take the most challenging courses in core academic disciplines like English, languages, history, math, and science for the required number of years, participate in extracurricular activities, volunteer . . . .
Then I put in a plea for taking time to explore the humanities and arts in all their varied dimensions -- visual and performing, Western and non-Western, classical and avant-garde. Far from being mere adornments to educational development, easy to dismiss as nonessential in tight economic times, these disciplines nurture our creative instincts. 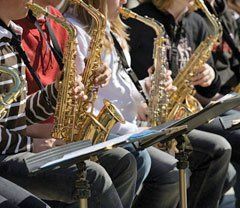 Although they do not always lend themselves to the kinds of metrics used to demonstrate proficiency in reading and math, the arts and humanities play a vital role in the educational development of students. They keep and convey our cultural heritage while opening us up to other societies and civilizations around the globe. They help us explore what it means to be human, including both the ethical and aesthetic dimensions. If science and technology help us to answer questions of "what" and "how," the arts and humanities give us ways to confront the intangible, to contemplate the "why," to imagine, to create. If ever there were a time to nurture those skills in our young people, it is now, when our nation's future may depend on our creativity and our ability to understand and appreciate the cultures around the world as much as on our proficiency in reading and math. Great research universities are often thought of in relation to their contributions to the advancement of science and technology. Biomedical inquiry and discovery are well established in universities, as are research in the physical and mathematical sciences and the social sciences. Yet liberal arts education is the heart of a university, and the humanities and arts comprise its soul. As a physician and biomedical scientist, I consider the scientific method a specific application of epistemology that involves observation, formation of hypotheses, and testing of the hypotheses, and that includes ample helpings of deductive and inductive reasoning. (I have long given medical students in my clinics a copy of The Complete Works of Sherlock Holmes, a collection informed by Sir Arthur Conan Doyle's medical training; Holmes was reportedly modeled on a diagnostician from whom Doyle took instruction in medical school in Edinburgh.) Once scientific inquiry has occurred, the conclusions of discovery frequently lead to practical decisions that are, or should be, based on ethical or moral considerations. So, even in the hard sciences, philosophy, history, art, and literature play their role. Given how much greater a role the arts and humanities play in their own right -- the arts for arts' sake -- they certainly don't need to be justified by their utility as servants of science. How unfortunate, then, that arts and humanities scholarship receives so little recognition and funding, and so infrequently finds its way into the national discourse. Take, for example, music, which has been an important part of my own life since my teen years. I worked as a rhythm and blues musician in the Chicago area to help pay my way at Northwestern University, where I earned my undergraduate and medical degrees, and I continue to make time for music. Music as an art form is at once complex, evolving, up to the minute in its currency, and yet primal, basic, and eminently human. It is among the most universal of art forms, among the most organic of experiences. According to Michael Thaut in his book Rhythm, Music, and the Brain, "Throughout human history, music has been considered a form of communication. However, the nature of what and how music communicates has been the subject of long-standing and fascinating inquiries in philosophy, religion, the arts, and the sciences." Music is a communicator, a transducer of emotion, a stimulator of understanding -- explicit or implicit. Music teaches in a way that we cannot replicate with words. Pedagogically complex, music transforms us, touches us alone or in a shared experience, whether planned or improvised. What of the place of plans and improvisation in art, in life? Can anything teach that point more clearly than music? The seamless juxtaposition of the planned and the extemporaneous -- musician to musician, musician to audience, audience to musician -- are vividly evident in the live act of creating and receiving. Education is innately a forward-looking and optimistic enterprise. The investment in the preparation for teaching, in the moment, in the follow-up -- all are intrinsically optimistic, optimistic that these efforts will bear fruit and that the fruit will be borne even by trees not yet planted, seeds not yet sown. There is growing evidence that arts education improves student learning and thereby produces better citizens. Throughout the United States, educational institutions -- from local schools to community colleges to research universities -- act as centers for public culture and for instilling in our children the values and knowledge that come only from a study of the humanities and the arts. I believe deeply that arts education is of great value in and of itself, not only instrumentally; I believe just as emphatically that education in the arts is the business of all of us, from the home and the family to the neighborhood and the village, from the P-12 school system to higher education to lifelong learning, culminating in the great and defining legacy of our public culture. David J. Skorton is president of Cornell University. This essay was adapted by the author from an address given at a 2007 forum, "Transforming Arts Teaching: The Role of Higher Education," sponsored by the Dana Foundation.